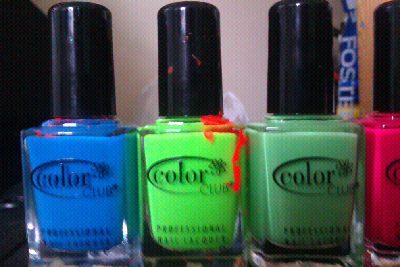 Anyway I am always lusting after Neon nail polish and I love the American brand Color Club. However before this the only polish by them I owned was Magic Attraction. 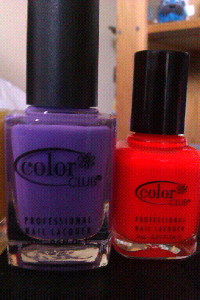 Anyway when Debbie said she no longer wanted these polishes I knew I had to snap her up on this offer. Mr Potatoe Head is enjoying looking at my nail mail! Ignore the orange spilt on the blue and green bottles. 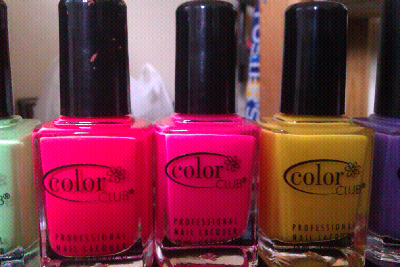 Nothing in my package leaked but Debbie had warned me that when she got these polishes that her orange had smashed! Isn't that mini bottle cute? 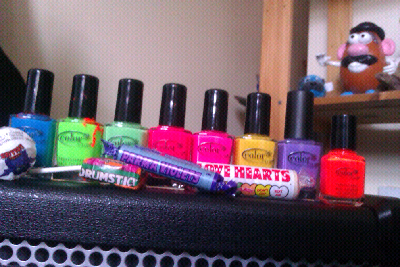 I am so excited to try these polishes out. Thank you so much Debbie for these. I can't wait now to get my Secret Santa package from one of the lovely ladies over at PAA.